In a lot of ways, Netflix is still very much a black box. We don’t really know what goes behind the scenes as the company frequently doesn’t reveal numbers regarding how many people are actually watching on any regular basis. 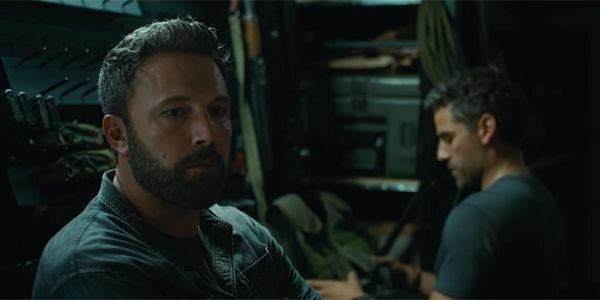 However, Netflix did just release viewing numbers on Triple Frontier, the action-heist movie starring Ben Affleck and Oscar Isaac, and according to the streaming service, 52 million households watched the film in in its first month. 52 million is a solid number of households, as likely many of those views were actually multiple people watching together, so the actual sets of eyeballs who have seen Triple Frontier is even greater. If every person who saw Triple Frontier spent $9 at the theater to see the same movie it would have been a box office smash. Of course, those households actually spent about $13 for the month to be able to watch it, so Netflix did even better. It’s possible that not all of those 52 million actually know how Triple Frontier ends. For the purposes of measuring viewership, Netflix counts those who have watched 70% of a movie or TV episode, so some of those that are being counted may have been called away from the movie and haven’t gone back to watch the end. The number is a far cry from the 80 million households who reportedly watched the Sandra Bullock movie Bird Box in its first month, which appears to be the current Netflix record, but it’s still a remarkable number. It shows that people who have Netflix are more than willing to check out new original movies when they hit, especially now that they frequently have bankable stars at the forefront. Triple Frontier stars Ben Affleck, Oscar Isaac, Garrett Hedlund, and Pedro Pascal as a group of former special forces operatives who come together in an attempt to use their talents in order to steal from a drug kingpin. Netflix has only recently begun revealing viewership numbers to its original movies, but it’s not being consistent in those announcements. THR reveals that while Netflix has given numbers for movies like Triple Frontier and Bird Box, it was never revealed numbers for Roma, the Oscar winning film that came out at the end of December not that far removed from Bird Box. It seems likely based on the silence that while the movie was revered by critics, not all that many people may have actually watched it. With two more big movies set for release later this year, Martin Scorsese’s The Irishman, and Ryan Reynolds Six Underground, Netflix is likely hoping for big numbers from those films as well, since they have major names attached. With the streaming game heating up, and Disney+ set to debut at a very aggressive price point, Netflix needs its original content to hit with audiences in order to ensure people have a reason to keep paying for Netflix.